As soon as I walked into Trader Joe’s and spotted these pretty pink tulips I did a happy dance. 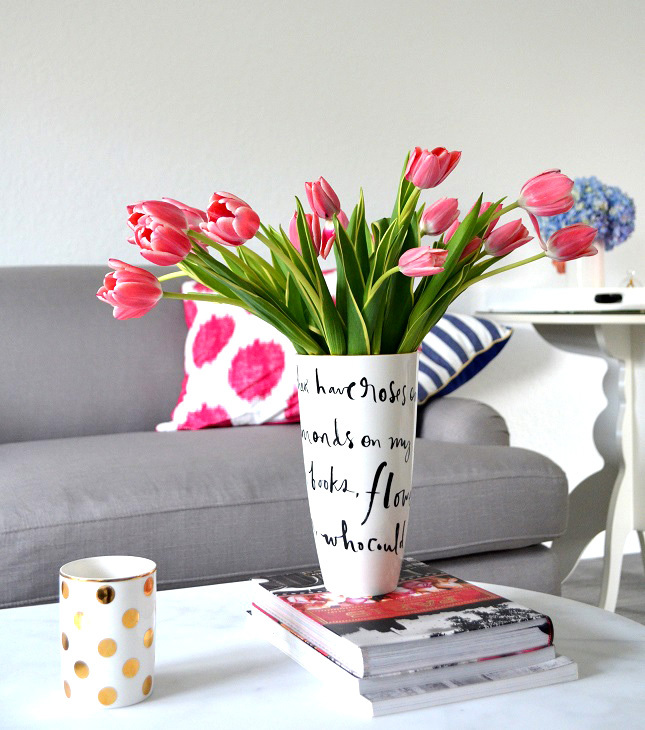 The structured aesthetic design to tulips have always made them one of my favorite flowers and the varying shades of pink put these flowers over the top for me. I bought two bunches and cannot stop looking at these flowers everyday. 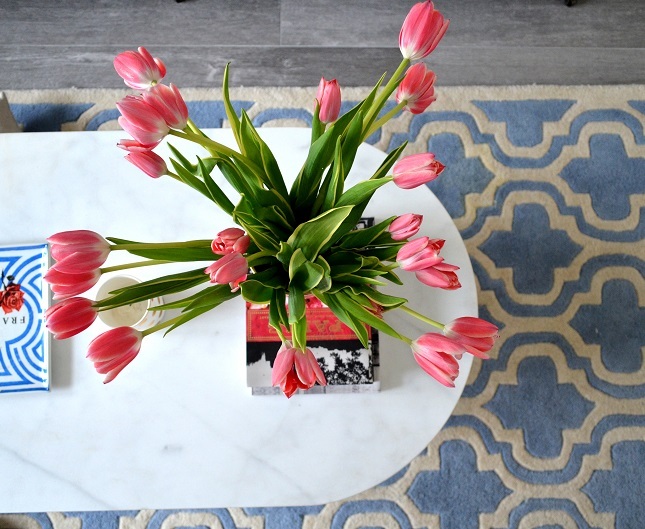 The Hubs and I are still working on furnishing and decorating the living room, but the tulips brighten up the whole first floor and add a live elemental that makes the living room feel more finished…or that’s at least my reasoning for indulging in weekly fresh flowers!